There is no denying that Artificial Intelligence (best known as AI) and online automated processes have taken the world by storm in the last five or so years. Ever since virtual assistants such as Siri or Alexa came to light, users all over the world have grown accustomed to relegating a chunk of everyday tasks to them, such as web searches, weather forecasts, and series of other requests involving different Internet services. Seeing the exponential success rate that these AI softwares have reached, a lot of big companies and businesses have taken their chances to give this innovative approach a shot. 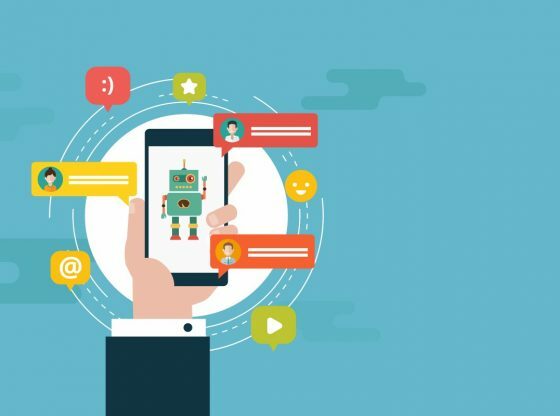 Thus, the birth of chatbots, which enable businesses to communicate with customers via instant messaging in order to solve certain types of tasks that are otherwise less effective and slower when performed by a person. Chatbots are slowly, but surely, revolutionizing the way customer support and customer requests are handled, with very positive outcomes so far. Admittedly, there is still a long way ahead as far as they are concerned, but there’s no doubt that their future is looking pretty bright. But… What is a chatbox anyway? What is their purpose, and why are they suddenly everywhere? In these article we hope to answer those questions for you, and to further enlighten you on what’s possibly the future of businesses workforce. First of all, you need to know that an internet bot is a software that performs automated tasks all over the internet, specially simple a repetitive tasks, at a much higher speed rate than any human alone would. Consequently, a chatbot is a software application designed to automatically engage in dialog with a person via online through text messages, instant messaging, or website chats. Chatbots come in many shapes and forms: Whilst one can be programmed to always answer in exactly the same way, others may respond differently to messages depending on the use of certain keywords. 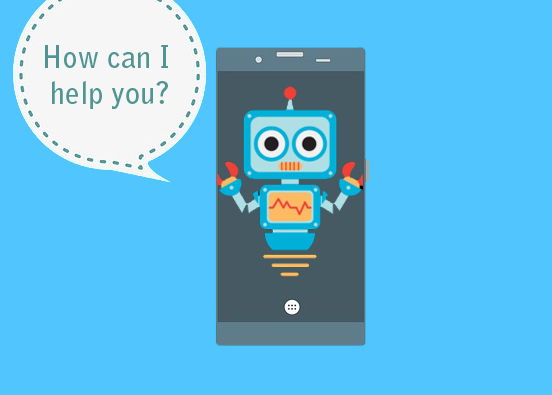 Nowadays, the main purpose of chatbots is to attend to customer requests and enquiries through a simulated, and in some cases surprisingly engaging, online conversation, as though it (the chatbot) were also a human. Among the many tasks that they can successfully accomplish are: Legal assistance, dating profiling, image recognition, and trivial ones like riddle chatbots. The complexity of the chatbot’s script will always depend on the task they are set to perform, and on how independant and human-like the interested party wants them to be. Hence, chatbots can be classified into two large groups: Simple and intelligent chatbots. 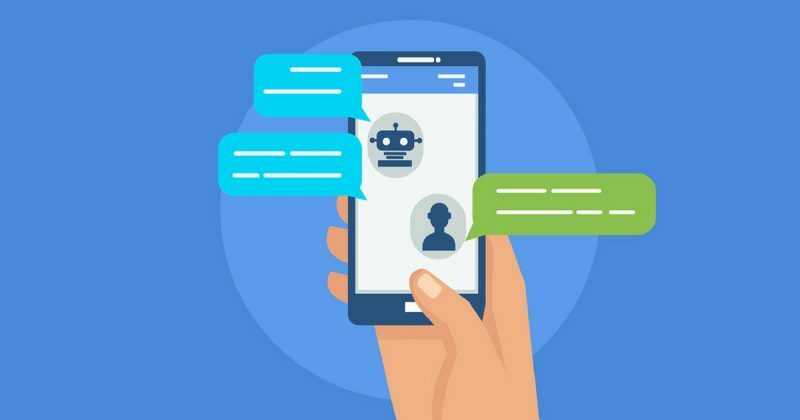 Simple chatbots have a very detailed script that they’ll follow to the T. This means that conversations in these chatbots are subjected to certain rules, that is, customer answers must contain predetermined keywords, or they must choose between explicit options so that the bot can understand and solve the request. Otherwise, the bot won’t acknowledge said request. On the other hand, intelligent chatbots allow more flexible answers, and thus, easier conversations. As it is to be expected, they rely entirely on AI, and as such, they are able to process all the input and learn from it. In turn, they provide adequate solutions that improve the more that they are used. Naturally, this in not a perfect process, given that bots cannot, as of yet, interact exactly as a human would. An assistant bot that handles customer services in the form of answering personalized FAQs and providing help with different tasks. A chatbot that allows customers to order take-out food, without having to make a call. A chatbot in a regular, sit-down restaurant that lets you order your food directly from your table. A tracking flight bot that allows them to book flight, texts customers about airport schedules, delays, and possible setbacks. E-commerces provide chatbots to make online purchases. Or simply enough, there are also chatbots dedicated to purely entertaining purposes. They exist merely to entertain the receiver and engage in amusing conversations. Customer service improvement: The use of chatbots has helped decreased by 80% the response rate to customer enquiries through fast and accurate answers. Additionally, chatbots provide 24/7 support since they can be available at anytime. Automate repetitive tasks: By doing this, businesses avoid having to employ personnel to perform tedious tasks, always answering the same questions. Personalize communication: Chatbots are programmed to ask very specific questions that will lead customers directly to what they’re searching. Some companies have taken to offer really fun and interactive ways to request their services, which makes for a very thoughtful and engaging experience. All in all, it is undeniable that chatbots are a growing trend that isn’t likely to dwindle any time soon. It’s still on its early stages, but it definitely paints a very promising picture for the future path of businesses.